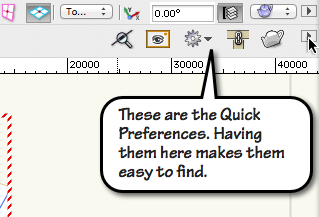 The right-hand end of the Tool bar contains the Quick Preferences. 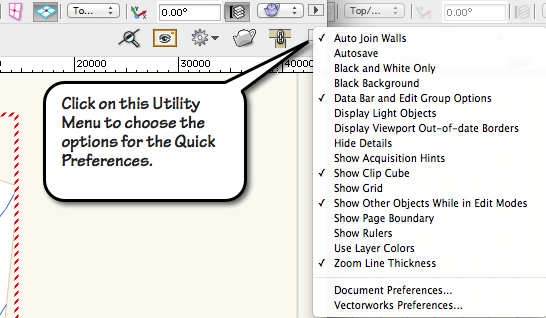 These are Vectorworks and Document Preferences that you might want to change quickly. There is a Utility pop-up menu on the right side where you can choose the preferences that you want to appear. You don’t need to have them all, just choose the ones that you use a lot.